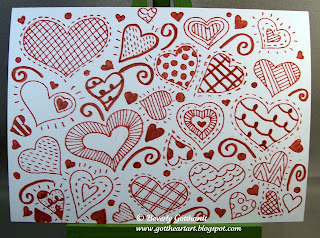 I'm a collector of heart stamps so when this challenge called for a one layer card with hearts I rose to the challenge by picking this large background stamp from Hero Arts, some Riding Hood Red ink and marker and viola lots of hearts. Supplies: White Card Blank 4" X 5 1/2", Papers: Stampin Up-Whisper White, Stamps: Hero Arts-Country Hearts, Ink: Stampin Up-Riding Hood Red, and marker of same color. 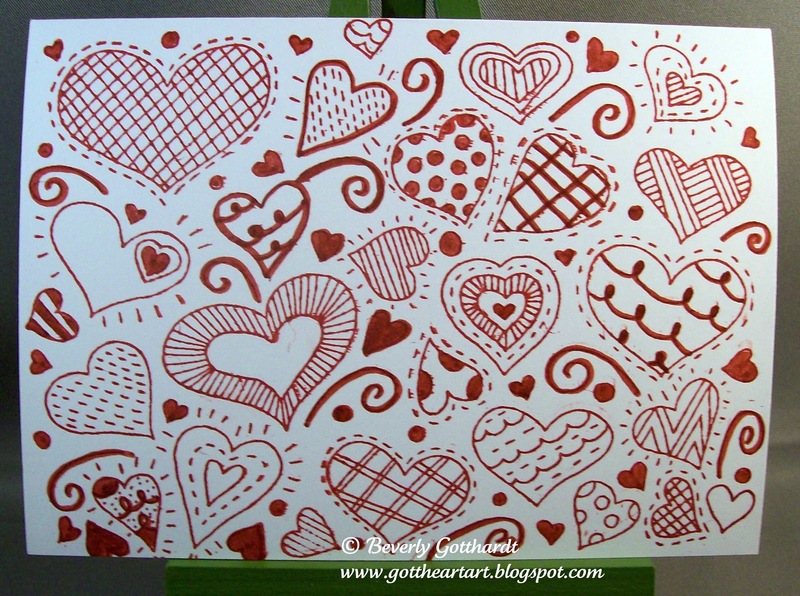 What a collection of hearts...at first I thought they were ALL individual stamps:) Nice card! What a fabulous way to show off your stamps--that took a lot of planning! Wonderful! Well there certainly are hearts a-plenty here Bev. Wonderful hearts, such a pretty card! Such a great use of all those hearts! Very impactful!